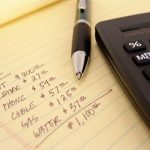 Home » How Long Does Bankruptcy Take? How long bankruptcy takes depends on a lot of factors, including which chapter you file. In a chapter 13 bankruptcy you will usually re-pay as much debt as you can in a 3 to 5-year period. This article will discuss how long an individual or joint Chapter 7 bankruptcy takes. I like to say bankruptcy takes one day and it takes three months. Your protection from creditors begins the day you file bankruptcy. You are under the bankruptcy protection from day one. Approximately 30 days after filing you will meet with the trustee assigned to your case. At that hearing, the trustee will verify your identity and social security number. You will have to attest under oath that the information provided on the schedules and statements filed with the court is true and accurate. If the trustee has any additional questions he will ask them at this time. Approximately 60 days after the trustee meeting, also known as 341 hearing, your discharge will enter. This has the effect of making the protection you received on day one permanent, so the discharged creditors will never be allowed to collect on the debts listed. Within a month or so after discharge, the case will be closed if there are no open issues. There are reasons a bankruptcy case may stay open longer than the time frame set forth above. The case can stay open even after you receive your discharge, but you are still protected from the creditors. A qualified bankruptcy attorney should be able to discuss the possibility of a case taking longer than 3 to 4 months. The attorneys at Bellenot and Boufford LLC work with their clients to protect all assets when possible and to make their clients aware of any potential risks. Most of our clients never lose any property. If there is a potential that a client might lose property, we will discuss non-bankruptcy alternatives and all other options. Please do not hesitate to call us if you have any questions, concerns or to learn more about your specific circumstances. Give us a call at 203-304-9050 (877-286-3414 toll free) or contact us to schedule your free initial phone consultation.